This article was printed in the July/August 2017 Edition ofOmaha Home. After never being in the American South the first 57 years of my life, I made a purely pleasure road trip to St. Louis and Memphis in June. My partner Pamela Jo Berry and I made the journey with her daughter Beaufield and Beau’s husband Rob and their baby boy Shine. We took in the National Blues Museum, the St. Louis Basilica and the St. Louis Fine Art Museum. We toured Graceland and the National Civil Rights Museum. We checked out the Beale Street scene. Good food and music were plentiful. On the way home we stopped in Eureka Springs, Arkansas and Branson, Missouri for some more down home country sights and experiences. Then, just two months later, Pam and I headed to the South again – only this time to the Deep South for her family reunion. We traveled with Pam’s mother Janis and two of Pam’s sisters, Pat and Theresa, to Kansas City, where we rendezvoused with close family friend Jill Anderson. Caravanning with us in another car to K.C. were Pam’s nieces Ashley, Amber and Aubrey and nephews Christopher and Tyler. While the others flew from KC to the site of the reunion, New Orleans, Pam and I drove with Jill to The Big Easy. En route, we passed through Arkansas and Mississippi and made it to the epicenter of Let the Good Times Roll by way of Baton Rouge. We just got back from four days and three nights in the tropical clime of that storied port city best known for its rich cuisine, jazz and blues music, raised cemetery plots, voodoo subculture and stew pot mix of French, African. Creole, Cajun, African-American influences and traditions. New Orleans is first and foremost a city of the waters – both ocean and fresh water – whose diversity comes to it from every nook and cranny courtesy the international boats that dock and disembark there. The heavily trafficked Gulf of Mexico, Mississippi River and Lake Ponchartrain all intersect New Orleans and feed the city with distinct elements of river culture, community and commerce. But I’m getting ahead of myself. First, we had to get there and our staging ground for the drive down south was Kansas City. On the ride into K.C. Pam, her sisters and mother would instantly react to any good soul, R&B and jazz tunes by swaying and grooving to the music. I am afraid that even sharing close quarters with four black women this white guy still didn’t acquire any soul, not even by osmosis. We spent a night in K.C. at the industrial chic apartment Jill shares with her roommate Jake, who generously gave up his bed to us. That night in K.C. before splitting up the next morning for our New Orleans jags by plane and care, we all went out to eat. Walking to the bar-restaurant we passed through the lively Country Club Plaza district with its Spanish-style architecture adorning shops, galleries and eateries. We hadn’t walked more than a couple blocks when Pat, followed quickly by Theresa and ultimately Janis, joined a line dance in progress at a little open square that three DJs turned into an outdoor dance floor. At the Granfalloon Restaurant & Bar everyone in our party except me went for the Taco Tuesday special. Always the outlier, I went for the Falloon Burger with its Angus beef patty topped by smoked cheddar and peppered bacon on a Brioche bun. This good eats was on point. 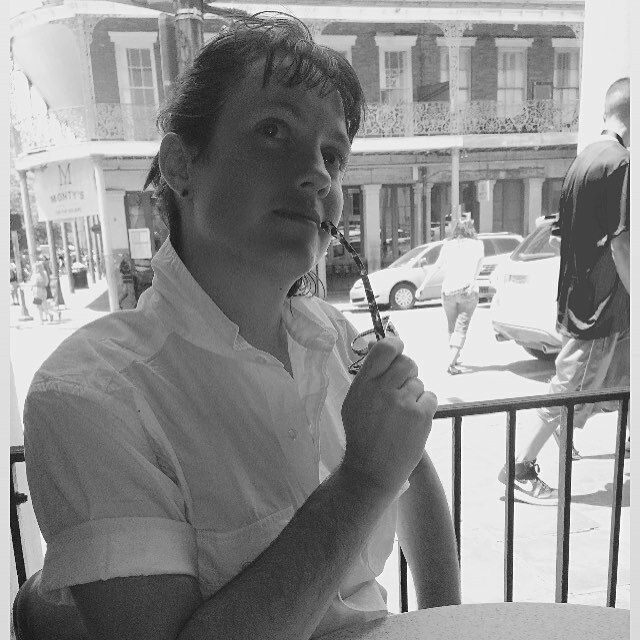 Now let me share some more impressions and incidents from the rather circuitous path we followed in making our way down to the Heart of Dixie and that town of grassroots mystique called New Orleans, the original Crescent City. Instead of taking the Interstate, we opted to drive on a series of highways in a south by southeasterly direction. This meandering approach was a collective decision and included taking a scenic river path into New Orleans but as you’ll read that didn’t turn out the way we envisioned. Well into our slog through Missouri and somewhere near the Arkansas border we happened upon an off-the-beaten-track Amish-run farmstead, where we stocked up on fresh fruit and veggies, including juicy, just picked Missouri peaches. A pit stop for gas and provisions turned up an unexpected delight when Pam spotted battered, deep-fried chicken livers and gizzards for sale as a uniquely Southern road snack. She and I both grew up eating those organ meats and so with every bite it took us back to our childhoods. I never did acquire an appetite for gizzards, but livers, well, that’s a whole other matter. These were just as they should be – soft and creamy inside with a flavorful not too crunchy breading on the outside. If cooked just right, as they were, it’s not an oily dish at all. Of all the good food we ate on the trip, and as you will read we ate some downright righteous stuff, the livers may have been the single best bite of the whole experience. Traversing the surprisingly hilly country of southern Missouri and northern Arkansas we stopped to visit Thorncrown Chapel in Eureka Springs. This impressive glass and steel structure sits atop native stone in a clearing amid forest. More than 400 windows provide a panoramic immersion experience in nature that is both serene and sacred. Pam and I meant to stop there on our earlier trip down South but never made it, and so getting to see it on this trip was well worth the wait. We stopped in Little Rock, where with more time at our disposal we would have visited civil rights memorials, but settled instead for dinner at Gus’s Famous Fried Chicken in the city’s downtown River Market district. The chicken comes spicy hot and it was better than average but not that much to brag about. Neither were the pedestrian sides. Our waitress was a bona fide Southern sweetheart who at one point sat herself down at our table for a down home, right quick break from being on her feet all day and a welcome to Little Rock how-de-do. Jill’s rental car got a less than how-de-do ticket violation for being parked in a spot where the citation read no parking is allowable at any time, This unwelcome surprise came despite no visible warning not to use that spot. The full lot’s only signage declared, “Public Parking.” Pam and I encouraged Jill to protest the ticket via whatever means the city of Little Rock allows. This wouldn’t be the last time Jill’s car attracted the unwanted attention of law enforcement despite our collective best efforts to obey the law. We stayed a night at a Days Inn in Pine Bluff. All three of us skipped the promised complimentary breakfast after discovering it consisted entirely of white flour, sugar-based products that are no-no’s for people with diet restrictions like two of us. Speaking of food, we had killer snacks on the ride down thanks to Jill, who packed a nice supply of her homemade vegan tamales featuring Jack Fruit and a yummy, spicy blend of seasonings. Half-way on the aforementioned scenic river route in Louisiana Jill mapped out is when we realized we were lost or at least not where we should be because all we saw were flood control berms and heavy industry complexes. The sheer size and scale of operation of those various industry works were a sight to behold but decidedly not scenic. High above us ran conveyance systems from either side of the road. Do the overhead pipes carry water from the river to feed into whatever industrial processes are going on there? Don’t know. All I know is that whatever does happen at those plants is securely tucked away behind barbed wire and perhaps electrified fences. The giant works themselves, with their smoke stacks, cranes, valves and such, have a kind of heavy beauty to them in their interlocking tangle of mechanics and machinery, Not everything we glimpsed was so oppressive. There were a few roadside shotgun shack residences and bars. All through the parts of the South we traveled we saw lots of played out towns and abandoned structues that reminded me of what one sees trekking across Nebraska or any rural stretched. We did pass a raggedy plantation as well as some dreamland site full of white stone structures. Convinced we needed to ask someone where we were in relationship to the Mississippi River and to New Orleans, we pulled into an automotive and towing business called Joey’s on the side of the road and hollered at the first person we saw, who just happened to be Joey. In his thick Creole accent he informed us we were on the wrong side of the river to see anything remotely scenic and provided clear directions for getting us into New Orleans. We were no more than a few minutes traveling across the Lake Ponchartrain Causeway, which is the world’s longest bridge over a body of water with its nearly 24 mile span, when we hit rush hour traffic. Lake Ponchartrain is so immense and my sense of geography so poor, that I assumed we were over the Gulf of Mexico at that point. Then things really got interesting when a thunderstorm broke out and rain went from moderate to heavy to a torrential downpour. Visibility was reduced to a car or two in front of us, in back of us and on either side of us. Amidst all that gray and all those vehicles it was a claustrophobic inching along that tested faith and patience. Finally the shroud lifted and we got back to a semblance of normal travel speed. but bursts of jagged lightning bolts hitting a few hundred yards away made for an ominous arrival in our destination city. The Superdome loomed large ahead as we snaked our way through jam-packed streets to find the Embassy Suites on Julia Street, where we stayed three nights. Over the next four days we ended up doing the French Quarter and French Market, but we avoided Bourbon Street. 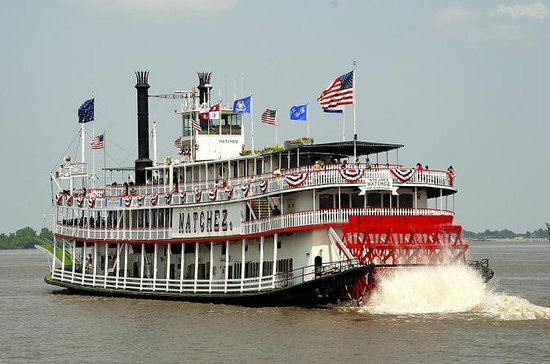 As a prelude to our first French Quarter foray the entire family gathered for the reunion took a riverboat cruise aboard the Steamboat Natchez. The food was disappointing but the cruise did give an appreciation for the grandeur of the river and for the scale of its commercial traffic as a bustling thoroughfare of ships and barges transporting people and provisions. Naturally, there was a “house” band entertaining us with old-timey jazz and ragtime music. Our first truly New Orleans meal came at Peche Seafood Grill just a couple blocks from the hotel. Pam had a smothered catfish entree that she loved though I didn’t care for the red chili sauce that covered it. I had a killer gumbo with a scrumptious side of roasted beets and pistachios accented by fresh thyme. Very near Peche is an Emeril’s restaurant and since we’re both big fans of his from watching cable cooking shows we decided to do dinner there one night. Eating at Emeril’s was hands down the best and most expensive meal we had on the trip. Trying to keep costs down, we both opted for the grilled salmon dish served on a bed of farro (a barley-like grain) and a tomato and corn chouchou, with some pickled string veggies tied in a bow atop the fish. The salmon was prepared perfectly, with the skin a nice black and crisp and the flesh moist and buttery. This was fine dining done right. The experience included at least four different wait staff who attended to us, each with a specific function, and somehow none made themselves obtrusive or a nuisance. I forget what night it was down there, but Pam and I were walking back to the hotel after dinner and decided to explore a little bit and we heard, as you often do there, live music coming from somewhere. We followed the sound and before we knew it we were enveloped by a small marching band and their brassy instruments and dozens of rollicking merrymakers dancing to the joyous rhythms of When the Saints Go Marching In. The day of the cruise didn’t begin so well but it certainly ended nicely. Waiting in line to board the boat became a mini-ordeal because of the oppressive heat and humidity that left us from more temperate Northern and Western climes sodden messes. Hand held fans were our only relief until we got inside the AC of the dining cabin. After a pale imitation of Southern cooking for lunch we went outside to stand or sit along the deck. A cool spray of water got kicked up by the paddle wheel below and a refreshing breeze made being outside in New Orleans a comfortable time for once. We no sooner clambered off the boat then we headed right for the French Quarter, where a Satchmo Summerfest featuring live jazz and a sidewalk art show of diverse work drew good crowds. There’s much to see and do in the Quarter, of course, and we stopped in a number of galleries and shops, including a praline shop whose proprietor was a very short lady speaking in a very big voice. Her natural amplification made it sound like she was speaking through a bull horn. Our walking party through the Quarter consisted of Pam and me, Pam’s sisters Cheryl and Veronica, and Pam’s brother John. During the course of our adventures in New Orleans we passed any number of praline places but we never got any. We were both trying to be good with our diets in a place where the abiding philosophy is diets-be-damned. But we had moments of splurging with food and other things. Our stroll through the Quarter and on back to the hotel seemed like a forced march at times because of he humidity. It clings to you as if you’re walking with a warm damp towel over your head. 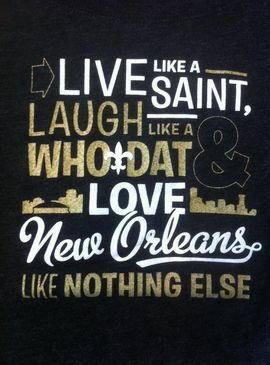 If we ever get back to New Orleans, I would like to have more time to explore the Quarter and to peak into those distinctive, tightly packed homes and buildings with their multicolored pastel facades, arched entryways, cozy balconies, ample windows with shutters and interior courtyards. We also never got around to visiting a plantation or a cemetery. Next time must-dos. The French Market is a big bazaar off the French Quarter filled with commercial buildings and open air stalls. We perused its Flea Market, where you can find an impressive variety of cooked to order food, fresh produce, apparel, jewelry, art and a hundred and one other things for sale. Pam had some interesting encounters with a charismatic vendor there by the name of Stefano Velaska. The story goes he wound up in New Orleans after fleeing his native Czechoslovakia, where he purports to have been a wanted dissident. He has been a vendor at the market since 1990. He’s also a founding member of the Dutch Alley Artist’s Co-op located within a short walk of his booth. He makes and sells his own handcrafted jewelry. He apparently suffered heavy losses in the Katrina disaster. He likes to quote Tennessee Williams and whether serious or not, he tried to interest Pam in interesting me to visit NOLA’s red light district to marvel at if not sample the whores. She was not sure how to take that or what to do with it but he twice “propositioned” her with the suggestion, which coming from a mustachioed, heavy-accented, flamboyant man in a decorated top hat does make one wonder or pause. Not far from the Flea Market is the famous Cafe DuMonde and its signature beignet and coffee. The takeout and gift shop lines went on forever and the open air dining area was packed too but we managed to just walk right in and sit right down. These were our first beignets, the legendary doughy delights smothered in powdered sugar, and I must say they’re quite good but hardly the revelation I was led to believe. During our repast there two older women turned out in gaudy mardi gras garb sat at nearby table and Pam asked if she could photograph them and they complied. A great pleasure on this trip was that Pam took photos practically everywhere we went. She is a superb photographer who years ago made a name for herself for her photojournalistic and art photography before life intervened and she eventually dropped the camera and morphed into a mixed media artist. Seeing her little by little pick up the camera again does my heart good. We intend to work together on a project one day featuring her images and my words. Joining us after awhile at Cafe du Monde were Pam’s sisters Veronica, Victoria and Cheryl. We found a neat little gallery featuring the work of an artist who’s also the gallery owner. During our meanderings through the French Market we heard some good jazz being played by a variety of musicians, including a sidewalk trio of a young man drumming and singing, an older man blowing his trombone and a young girl tearing it up on the trumpet. They attracted quite a few onlookers and admirers. Count us among them, Pam got some great shots of them. The big family gathering that reunion week was a dinner and dance at Mulate’s Cajun Restaurant. The staff put out a nice buffet spread highlighted by a great jambalaya and these scrumptious little meat pies. The main bill of fare though was the four generations of the Williams-Jackson family gathered for this celebration. Family and friends of family joined as one. Folks came from California, Nebraska, Missouri, Virginia and Georgia. Pam’s mom Janis, who is called Mother by one and all, headed the program, assisted by her daughter Cheryl. A cousin of Pam’s named Alexandra from the Kansas City side of the family has a beautiful, trained singing voice and she treated us to a rendition of “Ave Maria” and a gospel hymn. 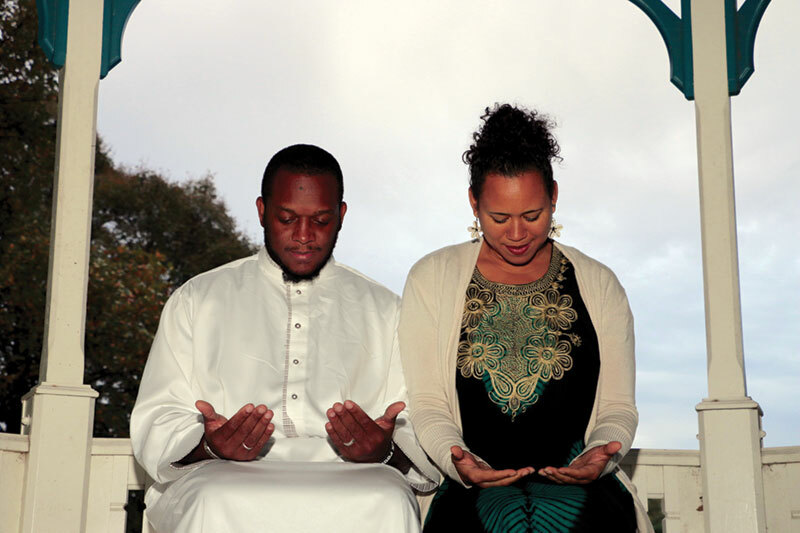 An unannounced segment of the reunion dinner program featured Pam’s daughter Beaufield Berry and her man Rob Fisher ecchanging marriage vows before the assembled Williams-Jackson clan. They wanted to share their wedded union with the extended family. I happened to be holding their 2-year-old son Shine during most of the ceremony and while he was just fine he sure couldn’t understand what mommy and daddy were doing up there. We baby sat Shine two nights there after long days when we knew we weren’t getting back out into the party fray. We left the late nightlife revelry to the younger folks. Besides, we have a ball with Shine, whose sweet joy takes the edge off everything. Once in New Orleans we didn’t see much of our driver, Jill, but we did find out she got a parking ticket for an expired meter and then a tow boot put on her car, which is no way for a city to treat the visitors who keep its economy afloat. After that, we decided it was better to pay the hotel parking garage fee of $37 a day, which all three of us originally balked at, and we split the cost with her. It turned out to be cheaper than searching for the scant street parking available and then getting hammered by the parking Nazis there. For our return journey back home we took a much more direct route. We won’t soon forget the stark landscape of Mississippi, the winding roads of Arkansas and the rolling fields of Missouri. We crossed some spectacular old bridges that are epic and sculptural in addition to being practical. We were passing through Cleveland, Mississippi this past Sunday when hunger overtook us and not knowing where to stop we took a flyer on the Southern Cafe & Grill, which to our delight offered the best roadside, all-you-can-eat buffet imaginable for $10.99. Everything in that buffet line was country soul food done right: greens, lima beans, green beans, mashed potatoes, candied yams, macaroni and cheese, stuffing, both fried and broiled chicken and some wonderful chicken stew-like dish. All of it was down home, real deal, succulent pleasure personified. It was one of those, Now-you-can-take-me-home-Lord meals that just don’t come around that often. We knew we were in the right place when after church crowd began filing in – white and black – dressed in their Sunday finest. We spent another night at Jill and Jake’s place in K.C. before heading back to Omaha with Beau and Shine. After two straight adventures in the South I really like it there. The humidity does a number on me but its doable. I like the people, the landscapes, the attractions and the lifestyle. Mostly, from what I could see, the South is, just like the Midwest and pretty much everywhere for that matter, made up of honest, hard working folks who don’t take themselves too seriously but who have fierce pride of ownership in the places they call home. They love sharing their culture with outsiders if you show genuine interest in it. 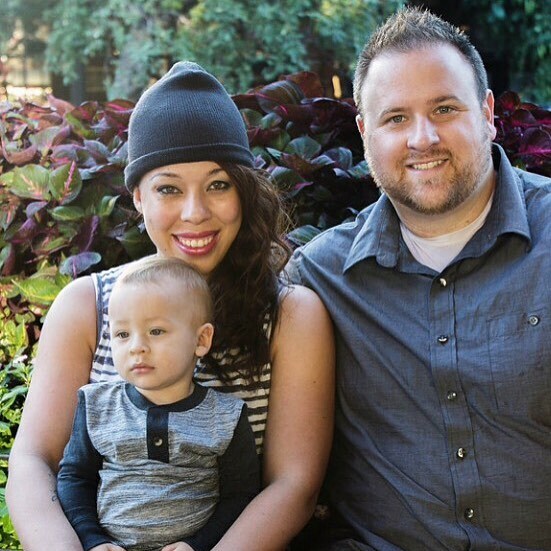 As an interracial couple visiting the South in 2016 we don’t have to contend with the cruelties and dangers that mixed couples and people of color faced in the past. We never felt uncomfortable or unwelcome. Seeing Confederate flags proudly displayed in the windows of homes and on private flag poles gives a moment of pause but those sights are few and far between. Pretty much everywhere we went we were greeted with cordiality, kindness and politeness. We even got a compliment from some random guy in Eureka Springs about what a great looking couple we are. Pam, as often happens with her, was told more than once how beautiful she is and how lovely her clothes are. We were in good hands with Jill behind the wheel and she’s great company. A very sweet and smart woman who doesn’t stand for any nonsense. I don’t know when we will next get back to the South, except that Pam feels called to do some serious family research in Georgia, where there are mysteries in her family line she is bound and determined to unravel. Depending on what she finds, it could be the makings of a highly personal photo essay or book or film or all or none of the above. If we don’t make it down there in 2017, we do know the next family reunion is set for Atlanta in 2018, so one way or the other I will be posting a new installment of my Southern Fried Love Road Trip Diary. Until then, I’m dreaming of that heavenly Sunday buffet and counting candied yams, not calories. Just got back mid-evening on Memorial Day from a one-week family road trip down South. 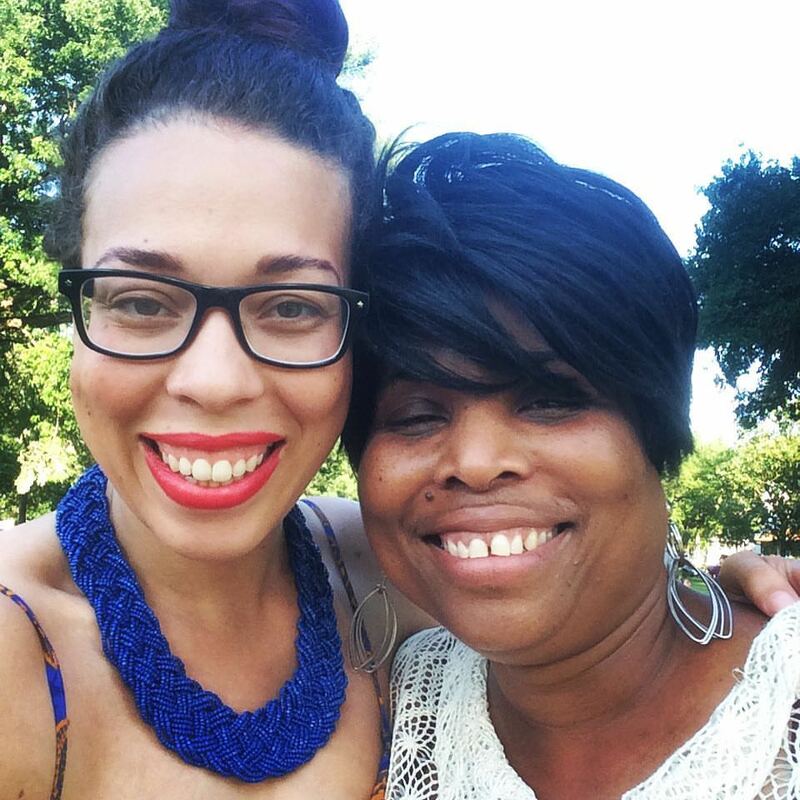 We were two mixed race couples of different generations heading down to Dixieland. Beaufield Berry and Rob Fisher, plus their baby Shine along for the ride. Then there was Pamela Jo Berry (Beau’s mother) and myself. Pam and I rode shotgun with the baby while Rob and Beau took turns driving. Eight days and a couple thousand miles of travel is a lot for anyone, especially a 21-month old, but Shine was a remarkable trouper. Our happy band of travelers pit-stopped in Kansas City to board a dog before wending our way in a southernly direction to our vacation’s first real destination, St. Louis. We toured the St. Louis Art Museum and the new National Blues Museum. The first rates 4-stars and the second 3-stars. Some in our party did the City Museum downtown. The single most impressive thing we did and viewed was tour the St. Louis Basilica a truly magnificent sacred structure that left us in a state of awe. I know, not exactly a fun thing to do, but meaningful and impactful, Immersed in that wonder. I swear that my soul stirred and my vision expanded. Enjoyed a great meal at Mango Peruvian Restaurant. The biggest impression we left with was how St. Louis, just like our Midwestern sister cities Kansas City, Chicago and Minneapolis and our Western sister city Denver, all have monumental public spaces. both indoors and outdoors, that Omaha sadly lacks. Those cities also retain much more of their historic buildings than Omaha and so the quality and the character of their architecture is much more compelling than what we have left. Our travel party of four adults and a not quite 2 year old comfortably shared a Residence Inn suite. Our shuttle drivers were ambiable men who gave us a few godo tips on where to go and what to do. Memphis was next among our bucket list destinations and its mega attractions of Graceland and the civil Rights Museum provided two vastly distinct history experiences. Each in its own way and for its own attributes rates 5 stars. 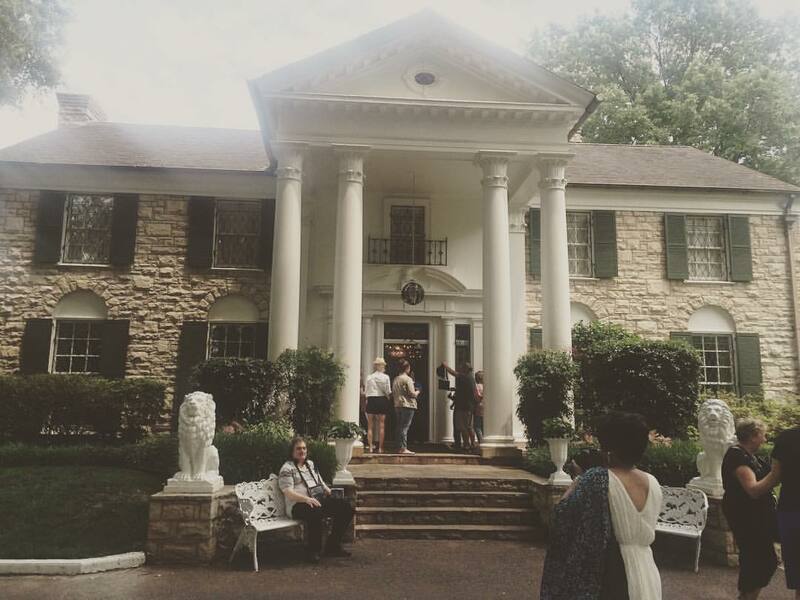 Graceland offers more than what any of us expected in terms of personalizing Elvis and his place in the collective popular culture consciousness. 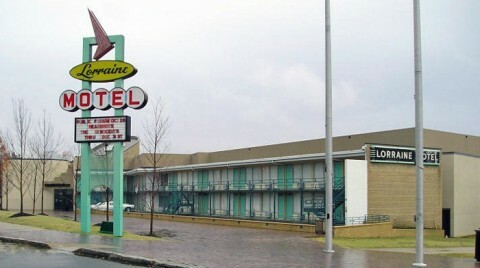 The Civil Rights Museum sensitively and intelligently blends the preserved Lorraine Motel where Dr. King was assassinated with a surrounding museum. The extensive exhibits walk you through the legacy of slavery from pre-colonial times all the way through to the Emancipation Proclamation and its messy aftermath. It informs you of the earliest efforts for equal rights that culminated in the modern civil rights movement. It takes you through the birth of that movement and King’s rise within it. It places you as well as any exhibit possibly could right in the thick of the protests, demonstrations, sit-ins and marches. Beale Street proved surprisingly short but we consumed some mouth watering and flavorful food there, including a killer gumbo and some righteous greens and cornbread, and we caught some down home blues thanks to the Queen of Beale Street, Miss Ruby Wilson. Our waiter at B.B. King’s restaurant was a gregarious ambassador for the charms of Memphis, We stayed at an AirBnB-found private home in a quiet Country Club-like neighborhood. It was a spacious, comfy, unpretentious family dwelling with a great big old covered patio and deck we meant to do a grill out on but never quite got around to. If felt like a home away from home. The drive out of Memphis gave us a thrilling view between the Bass Pro Shops’ pyramid headquarters and the steel arched Hernando de Soto Bridge spanning a picturesque segment of the Mississippi River. The only things I was sorry we didn’t make time for were tours of the legendary Sun and Stax Records. We were to have continued south to Nashville, where we planned to do the Grand Ole Opry and some music studios, but our accommodations got double booked in a major AirBnB snafu. So in classic improv fashion we double backed and spent our last few nights on a lakefront condo between Eureka Springs, Arkansas and Branson, Missouri. It made for a nice Plan B compromise getaway within the larger getaway. Eureka Springs was a delightful surprise to us for its rich mix of historic buildings, eclectic architecture and hippie trippy vibe meets redneck kitsch. We were surprised too by the hilly, rocky terrain of northern Arkansas and southern Missouri that alternated with lush forests and big beautiful valleys. Saw far more Confederate flags and references to Dixie than we spied in Tennessee. As two mixed race couples down South we never felt uncomfortable, though the sight of those old wound symbols was a bit upsetting. But everybody we met, with very few exceptions, was friendly and inviting. Branson was far less visually and aesthetically pleasing than Eureka Springs, but in all fairness we only drove through its main strip or drag with all the theaters and shows. Our stroll time there was limited to another section of town devoted to shops and eateries. 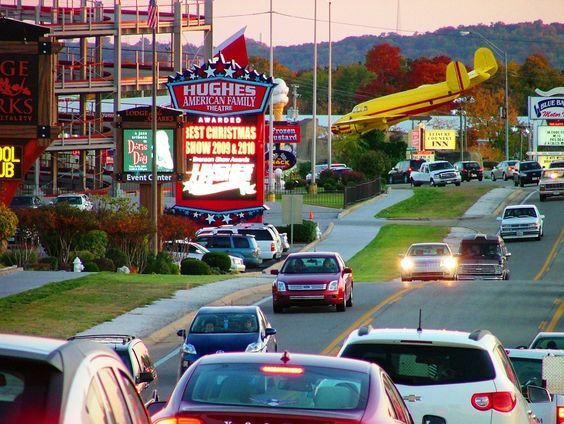 We mean to go back one day to take in some of those iconic Branson attractions. Staying on that lake provided a tranquil respite to all the ferrying around from point to point. 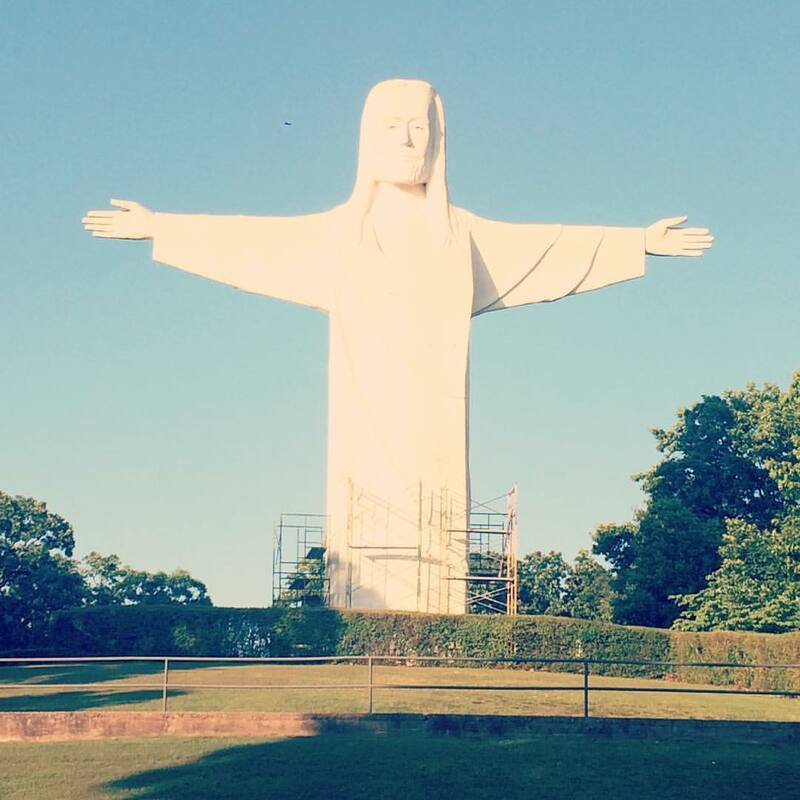 The only harrowing part of the whole trip was driving at night on dim-lit winding roads from Memphis to Eureka Springs. The weather the whole time we were away was moderate with plenty of sunshine and some stunning skyscapes and sunsets for good measure. The only inclement encountered happened on the return jaunt home between K.C., where we retrieved the dog, and Omaha, when we drove through a storm cell that kept opening up on us. Adding to the excitement of heading home was Beau, who is a playwright, fretting if she’d make it home in time for a 7:30 p.m reading compilation of some of her new work at the Great Plains Theatre Conference. Construction delays and storm surges worked against us before the road and the sky finally cleared and she made it back with plenty of time to spare. All in all, a good, positive, fun-filled bonding time and adventure shared by people who love each other. A much needed break from the grinding routine and rut. Thank you Beau for planning such a cool gypsy experience and for expertly changing things on the fly the few times when plans did go awry. You did a great job with the accommodations and making sure we all saw and did things that touched our hearts and expanded our minds. Thank you Rob for being our steadfast main driver and all around leavening agent with your good sense and humor. Thank you Shine for being the joyful life spirit who engenders love and trust. Thank you Pamela for being the Queen Earth Mother whose serene example of going with the flow became our team mantra. Thank you God for fending off the panic attack-like freakouts that have spoiled some of my travels. This was all good and easy going down, just like a Southern Fried Chicken dinner smothered in homemade peppered gravy. A real Pot Liquor-rich flavored, stick-to-the-ribs good time.